Words are formed by making paths through the grid. 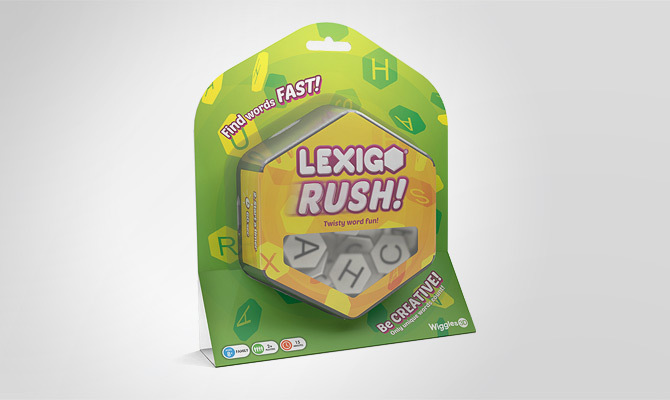 You can start each word on any tile. 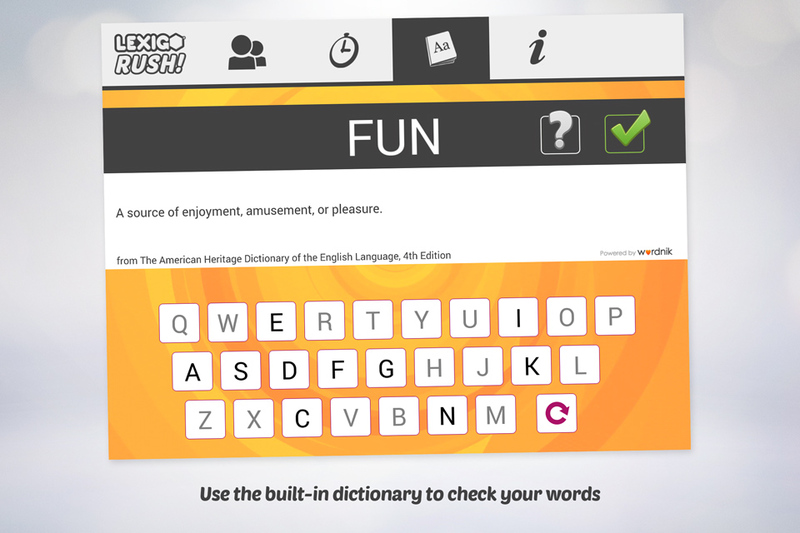 Your words can use the same letter tile more than once. However, you can’t hop on the same tile to use it twice in a row. Blank tiles can stand for any letter you want. However, if you use a blank tile more than once in the same word, it has to stand for the same letter each time. 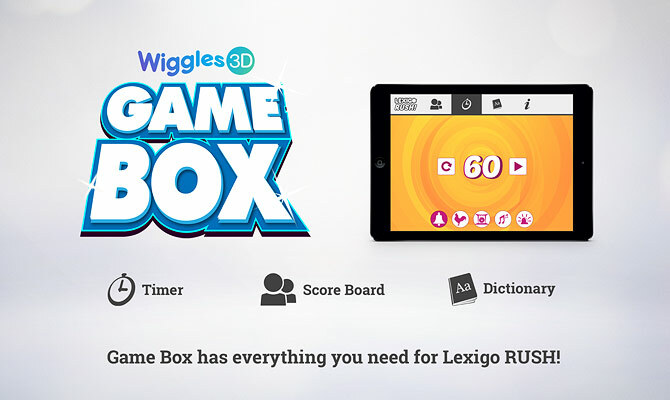 Download the Wiggles 3D Game Box to time your rounds, track your scores, check the dictionary, and have the rules on your mobile device! RUSH on your mobile device! 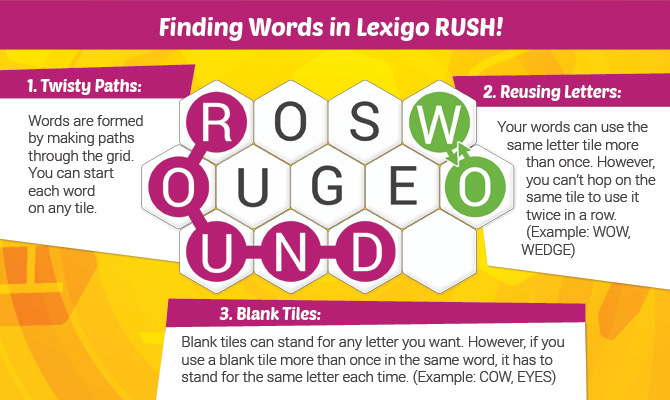 This single player game will test your skill at finding words in the 13 letter grid. 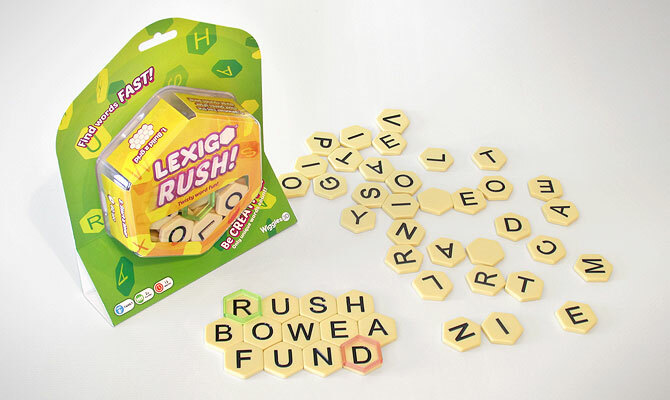 It will help you get ready for your next game of Lexigo RUSH word tile game around the table!